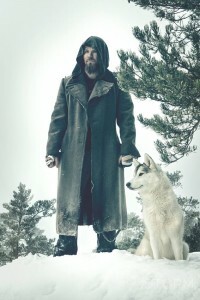 As bombshell news goes, this is a pretty big detonation: Tuomas Saukkonen announced yesterday that he is shutting down all of his current musical projects — Before The Dawn, Black Sun Aeon, Routasielu, Dawn Of Solace, and Final Harvest — and starting a completely new one under the name Wolfheart. At the same time, he released a teaser of new Wolfheart music. Saukkonen disclosed his decision and his future plans in an extensive interview published late yesterday by the Finnish Kaaoszine site. Fortunately for non-Finnish speakers, the article includes an English translation. In a nutshell, Saukkonen explained that he had been growing disenchanted with his most popular vehicle, Before the Dawn, for several years, and that even after the release of BTD’s well-received 2012 album Rise of the Phoenix, BTD no longer gave him the artistic freedom to make the kind of music he wanted to make. Perhaps ironically, the success of Rise of the Phoenix gave him the freedom to finally leave it behind without regrets. Once that decision was made, he explained, “it was logical for me to clean the table at once and start building something from scratch again.” And that led to the demise of his other bands and the birth of Wolfheart. Saukkonen says that he began writing new music for Wolfheart in the fall of 2012 and at this point he has already finished recording and mixing half of the songs for the band’s as-yet untitled debut album, with plans to complete it in March and then explore label opportunities. His goal is to release the album before the winter of 2013. 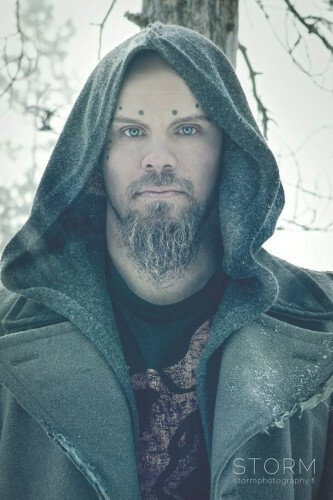 In the interview Saukkonen also outlined plans for “one big final show” on February 23 in Lahti, Finland — a “farewell show where Before The Dawn, Black Sun Aeon and Routasielu will get up on stage for the very last time.” That show will be recorded for eventual release on DVD. Finally, he also mentioned that he is in discussions with Stay Heavy Records to release 3-CD box set consisting of BTD, BSA, DOS and RoutaSielu material, as well as music from the acoustic tour and some unreleased songs. As for Wolfheart, we have the teaser clip as a taste of the new music. At least based on these excerpts, it fits Saukkonen’s description quoted above. It’s not radically different — similar to Black Sun Aeon but at least in some songs reflecting the accelerated pace and more upbeat atmosphere of BTD, and you’ll hear some folk influence as well. I can’t say I’m overjoyed at the idea that BTD and Tuomas Saukkonen’s other bands are now things of the past. They will definitely be missed. But at the same time, I’m really liking what I hear on this teaser. 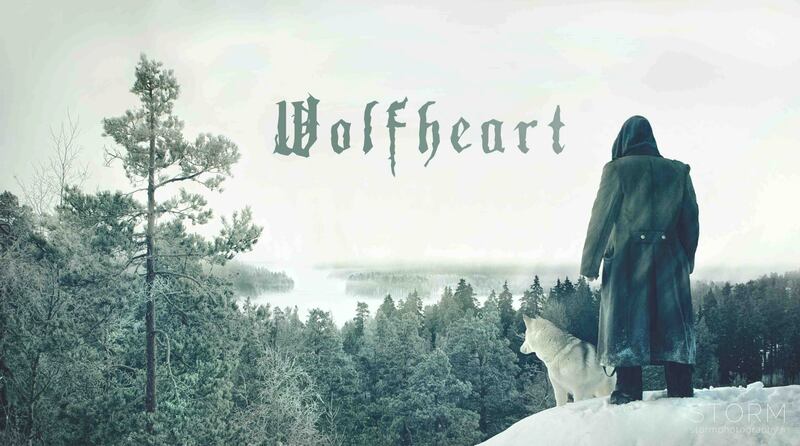 We’ll definitely be ready for Wolfheart’s debut whenever it comes. Black Sun Aeon will be the one I will miss most I think. More bands should announce albums half done. Then I won’t forget about them between now and their release. The new songs really do sound like a hodgepodge of all the bands mixed together (in a good way). Trees and fog in the promo pic? That’s a must listen for me. I do have to say that I’m not at all enthralled by this band name though. Wolfheart is too generic and power metall-y. The music sounds great though and that is what matters. One’s thoughts exactly. One is warming up to the name upon seeing the wolf though. I am very excited to see what come of this project. The teaser music is simply lovely. I might have been able to seen this coming. I mean, this man has been writing a shitload of music, of which most he wrote by himself. And those last few years, I couldn’t help but wonder why he wouldn’t focus his efforts into a single band which would produce just one album every year or two years. So I basically think this is good news. Every Tuomas produces is golden to me, but last time he really surprised me positively with a release was 2010’s Routa, and before that 2006’s The Ghost. So hopefully this will give him the artistic freedom and creativity to make another really great album such as those, in stead of a whole bunch of ‘just good’ ones. I do hope he’s recruiting a clean singer, though. That second picture sold me, it’s pretty EPIC, to say the least! The teaser sounds great! The beginning sounded like some old Ulver! I’ll be sad to see btd and bsa go, but the teaser is stellar. Im feeling a lot of the last btd album sound mixed with some bsa. Im pretty stoked for it.